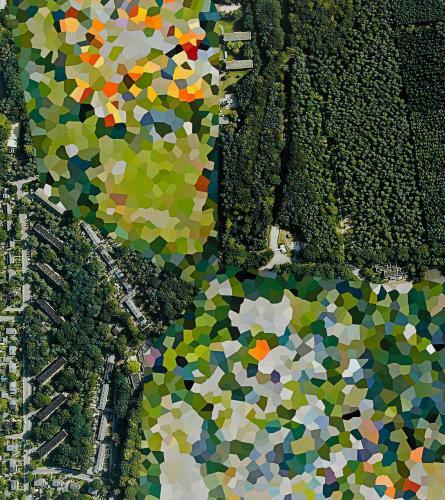 Mishka Henner defies the codes of documentary photography, having given up the camera to turn instead to the image-banks available on the internet. Here he uses satellite imagery from Google, choosing areas censored by the Belgian government, which attempts to protect strategic sites such as nuclear power stations, royal palaces and military barracks by having them blurred out. The artist underlines the absurdity of this manoeuvre, which does more to identify than to hide such sensitive sites.